The following is a reflection on the significance of the Pope’s resignation written by Augusto Zampini, a Catholic priest and a PhD student at the University of Roehampton. 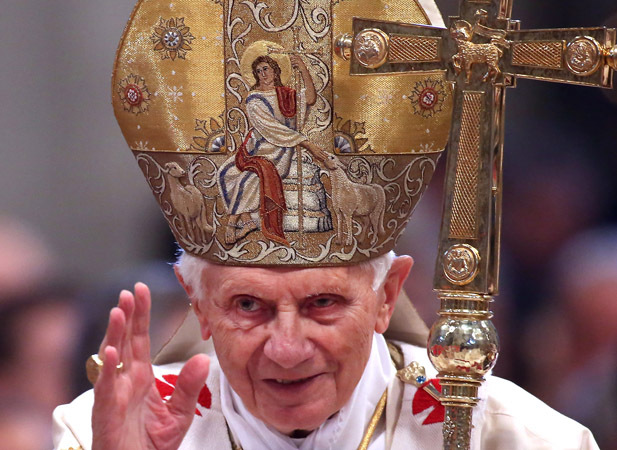 Pope Benedict XVI has resigned as Supreme Pontiff of the Catholic Church! This is an unprecedented event in the modern Church and worth commenting upon. What follows is not a deep theological analysis, but rather a casual sharing of my first impressions on the breaking news about the resignation which, I argue, is timely and coherent. The decision is coherent with Benedict’s experience. Indeed, when John Paul II’s health was gradually deteriorating, Cardinal Ratzinger had a privileged position, right in the centre of Rome. He was the Prefect of the Congregation of the Doctrine of the Faith (CDF), a powerful institution inside the Church, once known as the Inquisition. From that position, Ratzinger was able to witness how the vacuum of power generated by John Paul II’s Parkinson’s disease was promptly filled by other people. In this particular case, these were not people designated by the universal Church as its leaders, meaning that they were not elected by a Conclave (the body in charge of electing the Pope), nor necessarily guided by the Holy Spirit through episcopal mission (the Bishops in charge of Dioceses all around the world). As a hierarchical structure, the Church has on its vertex of power the figures of Saint Peter and the Twelve Apostles, whose successors are the Pope and the Bishops. In other words, the Church, as was clarified by the most authoritative constitution concerning the organisation of the Church so far, Lumen Gentium (a constitution issued by an Ecumenical Council, Vatican II, in the 1960s), is governed by a college of Bishops whose head or principal is the Pope. Following the teachings of the Council, the new Code of Canon Law confirmed, in the 1980s, this collegial power. Cannon 330 states that ‘just as by the Lord’s decision Saint Peter and the other Apostles constitute one college, so in a like manner the Roman Pontiff, the successor of Peter, and the bishops, the successors of the Apostles, are united among themselves’. When the head of the collegial government is temporarily unwell, the organised structure usually takes over, as in any other large institution. The structure is, in this case, the Vatican Dicasteries (offices) or Roman Curia, whose officers work at the Pope’s headquarters in Rome. However, when the head of the collegial body who governs an organisation is not temporarily but permanently ill, then the leader needs to be replaced, as also happens with other global institutions. While this process is being completed, the collegial body that rules the institution normally appoints somebody in charge. For example, the board of directors of an international company will take over when the CEO has resigned, and if they need more time to find a replacement, the same board will have the imprimatur on the decisions taken by those temporarily in charge. If for some reason this does not happen, and the collegial body remains passive, a fierce struggle for power is likely to be triggered. Consequently, the vacuum of power is filled by those who are more successful at this intense fight for power and control, which is at odds with the Gospel understanding of power as humble service.